AFC Leopards who have had an indifferent form in the Kenyan premier League will look to get their morale and motivation back in the Football Kenya Federation Shield when they take on Transfoc in Kakamega on Saturday. AFC have had a torrid start to the season and despite back to back wins that took them off the bottom of the standings, Wednesday evening’s loss at the hands of Sofapaka brought them back to earth. The Shield will be a welcome distraction and especially noting they will be taking on a lower tier side, winning convincingly will be a major target to have their morale back. “It is a tournament that we want to win and we will do our best to get positive results. There is a cup to play for and also a chance to go play continental football. 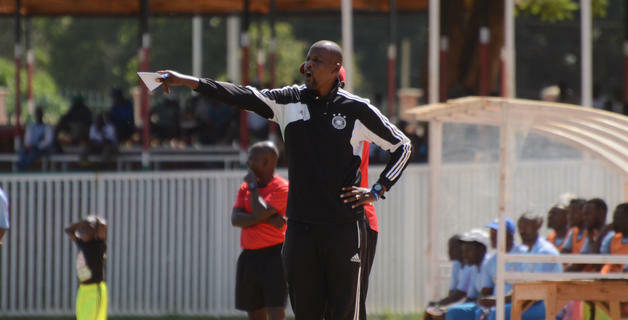 This is our chance and we will give our best,” head coach Cassa Mbungo said. Ingwe have won the Shield 10 times, their last conquest being in 2017 and Mbungo hopes to bring the joys of a trophy back to the team. Despute losing to Sofapaka, he is pleased with how his team is improving and says they will finish the season strong. “We are doing well and the players are really improving. Against Sofapaka we were unlucky to lose because they scored once when our defense went to sleep but apart from that there is so much improvement. We will get better,” the coach offered. In the early kick off before AFC play Transfoc, defending champions Kariobangi Sharks will take on the pitch against Elim FC.